Michael P. Spradlin is the New York Times bestselling author of the Youngest Templar trilogy, the Wrangler Award Winner Off Like the Wind! The First Ride of the Pony Express, and several other novels and picture books. I often say that writing a novel is like watching a movie in my head and recording what I see. There have been dozens of times when I’ve watched a film and realized a previously not thought of actor would be perfect as a character in one of my books. Writing Prisoner of War made that a little more challenging. 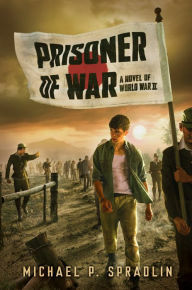 The novel is based on the true story of America’s youngest POW in World War II. Henry Forrest, my protagonist, is fifteen years old and big for his age. He convinces his grandfather, who speaks little English, to vouch for him with a Marine recruiter and enlists in the Corps. This was a very common practice in World War II. Many men didn’t have official or accurate birth records and there were thousands of underage enlistees. It makes the job of casting Henry doubly difficult. A young actor would have to have a certain physicality to ‘play older’ and offer the physical strength, yet emotional vulnerability that makes up Henry’s character. Choosing someone to model him on was a conundrum. For my book Into the Killing Seas, the nineteen-year-old Marine, Benny Poindexter, looked and acted like a young Jimmy Cagney. His appearance, style and even manner of speaking was imminently clear to me. I watched several Cagney clips and movies to get down the mannerisms, the cadence, and personality to breathe life into Benny. Many of the young actors today, say Andrew Garfield, could pull off the emotional range Henry needs, but he lacks the size. Obviously, the action stars popular today are far too old to play a fifteen-year-old. Then it hit me. As a writer, I can travel through time. I’ve gone from the Crusades, to the Civil War, to World War II in my novels. Since Prisoner of War is unlikely to hit the screen anytime soon, I can cast anyone I want from any time period I want. So, I did. I climbed into my time machine and went back to a young Ben Affleck. Stay with me. I’m talking Good Will Hunting pre-Gigli era Ben. Matt Damon would have been my first choice, but again even at that age he wasn’t physically big enough. In the novel, Henry’s Gunnery Sergeant McAdams from Denton, Texas, takes his first look at him and says “Henry Forrest, huh? Well, yer big as a durn tree.” Damon isn’t as big as a tree. But young Affleck is tall and could put on the pounds for his art. He could handle the physical piece of the role. And as an actor, when Affleck is good, like in Hollywoodland or The Town, he’s excellent. He has the range to pull off the emotional transformation Henry experiences as a Marine, a physically and emotionally abused captive, and learning how to deal with the aftermath of the war’s effect on him. That’s it. That’s my choice. Young Ben Affleck, starring as Henry Forrest in the Steven Spielberg directed Prisoner of War. Coming soon to a theater of the mind near you. 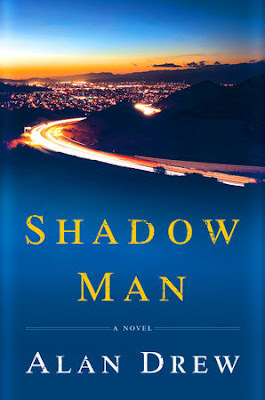 Visit Michael P. Spradlin's website. New York Times bestselling author Hallie Ephron, Edgar Award finalist and four-time finalist for the Mary Higgins Clark Award, writes books she hopes readers can’t put down. Her newest suspense novel, You’ll Never Know, Dear is set in South Carolina; it tells the story of a little girl’s disappearance and the porcelain doll that may hold the key to her fate. 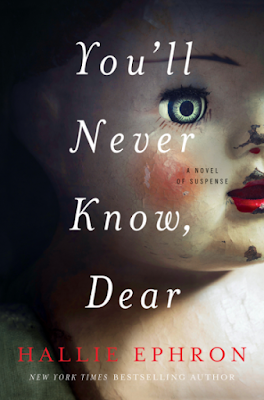 One of my favorite reviews of You’ll Never Know, Dear came from Kirkus: “Would have been a great vehicle for Bette Davis and Joan Crawford, including all the slightly creepy dolls.” Taking that as my lead, I’d want to subtitle (do movies have subtitles?) my movie What Ever Happened to Baby Janey? Right. Maybe. Though horror fans would be disappointed, because though the book is creepy (and full of mildly creepy dolls and doll parts), it's more suspense edging over into women’s fiction. It tells the story of a little girl’s disappearance and the porcelain doll that may hold the key to her fate, but what propels the narrative is the complicated relationships among three generations of women. That, in turn, is powered by secrets. Miss Sorrel is an elegant older woman and gifted artist, famous for her porcelain dolls; her four-year-old daughter Janey disappeared forty years ago, along with a “portrait doll” Miss Sorrel had made for her. 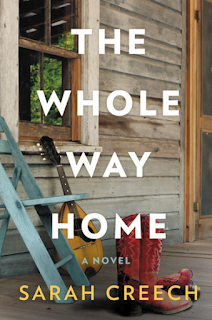 Miss Sorrel’s older daughter, a single mom who had to move home in the wake of a messy divorce; forty years ago she was supposed to be watching her sister Janey when she disappeared. Now she sometimes feels as if all she’s doing is serving time and worrying about her own daughter, Vanessa. Lis’s daughter, a psychologist who lives in Providence where she studies the science of sleep and dreams. Ambitious, independent, she appreciates and resents her mother’s smothering, protective instincts. Once a homeless drug addict, is she Janey Woodham? Jenny Richards brittle, angry daughter who’s trying to take care of her mother and also make an independent future for herself. Lis’s long time friend and more; much older than Lis, he was a rookie cop when Janey disappeared. Now Lis wonders if he’s the "good guy" that he seems to be. Learn more about the book and author at Hallie Ephron's website. 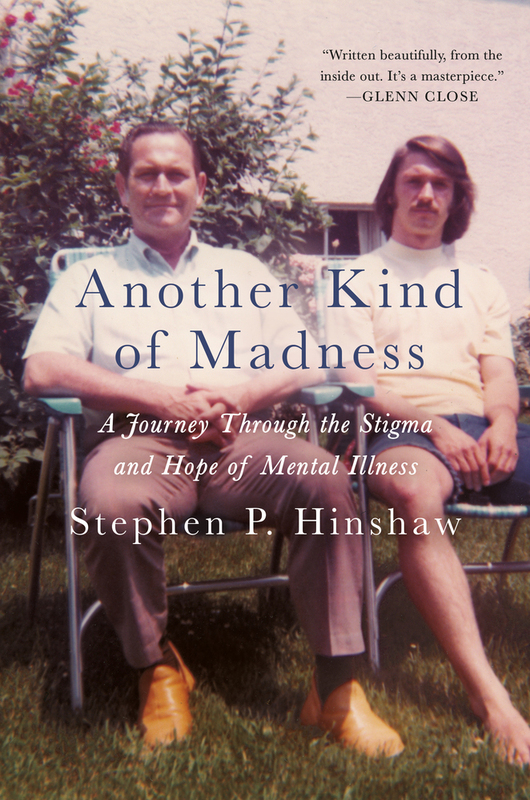 Hinshaw's newest book, Another Kind of Madness: A Journey Through the Stigma and Hope of Mental Illness, chronicles his father’s recurring mental illness and the doctor-enforced silence surrounding it, plus the huge need to combat stigma. The material is clearly cinematic. My father, a brilliant philosopher who studied with Bertrand Russell and Albert Einstein, has periodically experienced wild bouts of psychosis and mania since age 16. As a teen in Pasadena during the 1930s, he believed he could stop the worldwide Fascist threat by flying, with outspread wings, to warn the leaders of the free world. Barely surviving, he was warehoused in a snake-pit hospital for half a year, beginning his life of high achievement intermixed with utter madness. It’s now years later, and he’s a professor in the Midwest during the 50s and 60s, following even more terrifying episodes and incarcerations. He and his beautiful wife, who also teaches at Ohio State, are expressly forbidden by his doctors from telling their two young children—my sister and me—the real reason for his sudden, mysterious disappearances: His recurring madness and forced entry into brutal mental hospitals. Indeed, his episodes during that time endangered the family. Focusing on Dad’s dramatic past and my own childhood, the film would convey the core tension: Life was idyllic, filled with school, sports, and high accomplishment, but simultaneously terrifying, as Dad tried to survive electroshock treatment and beatings and I scrambled to understand the truth behind the silence and shame. Like so many kids in families where danger lurks but nothing is said, I blamed myself for not being able to prevent Dad’s mysterious absences. During all of those, it was as though he’d been abducted by aliens in the middle of the night. A crucial scene occurs in the early 70s. As I return home from Harvard for my first spring break, having convinced myself to draw away from the silence of my upbringing, Dad pulls me into his study and awkwardly starts to reveal his life of madness. I now have a mission—to study psychology and solve the riddle of mental illness. Yet I’m simultaneously terrified, fearing that I’m next to become a hopeless mental patient. In subsequent years I correctly diagnose Dad with bipolar disorder and proceed to an award-winning career in psychology. Yet it took many years for me to break the code of family silence. Who would play my father, the athletic scholar, the tender father, the madman given up for dead in some of the nation’s worst mental facilities? Alas, Russell Crowe could surpass his brilliant turn as John Nash in A Beautiful Mind (indeed, my father knew Nash at Princeton back in the 40s): Crowe’s mixture of brutality, tenderness, and intelligence could reach new heights in portraying the life of Virgil Hinshaw, Jr., my father. My mother, the unsung hero of the family, could be portrayed by Meryl Streep or even Cate Blanchett—conveying a will of steel intermixed with a forlorn hope for the innocence of the family’s earliest days. My sister and I, as our younger selves, would be played by earnest child actors and, as we age, by Leo DiCaprio and perhaps Jennifer Lawrence. Who could direct: Ron Howard or even—in a dramatic montage of families and history—Martin Scorsese. 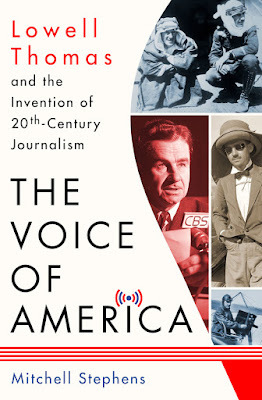 Our family’s story spans the political history of the U.S. in the mid-to-late 20th Century, conveys my emergence into the world of science and mental health from the silent terror and stigma I experienced as a child, and offers lessons for the current need to maximize human capital by humanizing the psychological afflictions so many of us face. The film would end on a note of hope and triumph: disclosure of the truth can set us free and humanize those with mental disorder. A crackerjack production team is necessary for This Worldwide Struggle, a movie about a group of black American Christians who looked abroad, even in other religious traditions, for ideas and resources to transform American democracy. Certainly the casting director has her work cut out for her to find actors to portray identity-defying Pauli Murray, brilliant Bayard Rustin, and charismatic Benjamin Mays. As well as an international cast of characters, including Gandhi, Nehru, Nkrumah and many others, for This Worldwide Struggle is indeed a sweeping historical narrative, showing how the greatest American social movement had significant roots in many other parts of the world. 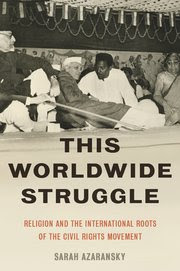 Learn more about This Worldwide Struggle at the Oxford University Press website. On May Day, 2018, sixty meteors enter Earth’s atmosphere and explode around the globe. Earthquakes and tsunamis follow. Then China attacks Europe, Asia, and the United States in the mistaken belief that the disaster is an act of war. One of the objects strikes Washington D.C. and decimates the federal government. Surviving elements of the armed forces attempt to restore order even as American society begins to crumble. And as citizens battle each other and the military for scarce resources, a group of oligarchs create a new government, which is structured to run like a corporation. They call it The New Confederacy. Seek And Destroy is the second volume in the America Rising trilogy, and picks up where Into The Guns left off. 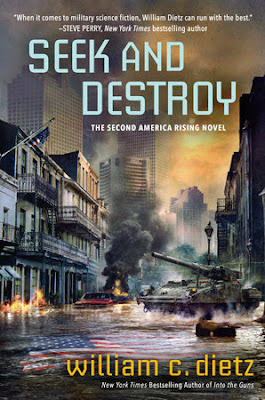 Both books follow a young army officer named Robin Macintyre (Mac), and Secretary of Energy Samuel T. Sloan, who is elevated to the presidency after Washington D.C. is destroyed by a meteor. Together with other freedom fighters Mac and Sloan battle to restore the country’s rightful government and defeat the New Confederacy. When Into The Guns came out I chose Kristen Stewart to play Mac, and I still think she would be perfect for the part. Kristen has a long list of screen credits as well as a demonstrated ability to play action roles. I think there’s a great hard/soft aspect to Stewart’s persona which would be perfect for the role of Robin Macintyre. And for the role of Samuel T. Sloan I chose actor Chris Pine, who has a proven capacity to handle action roles (three Star Trek movies plus Shadow Recruit) not to mention his role as Steve Trevor in the smash hit Wonder Woman. I hope he’s available when the call goes out. And it will, right? My Book, The Movie: Into the Guns. Jean R. Freedman is a folklorist and author whose work has appeared in the New York Times, the Washington Post, the Journal of American Folklore, and the Fast Folk Musical Magazine, among other publications. Her first book, Whistling in the Dark: Memory and Culture in Wartime London, analyzes popular culture and political ideology in London during World War II. She teaches at Montgomery College and George Washington University and lives in the Washington, DC area with her family. 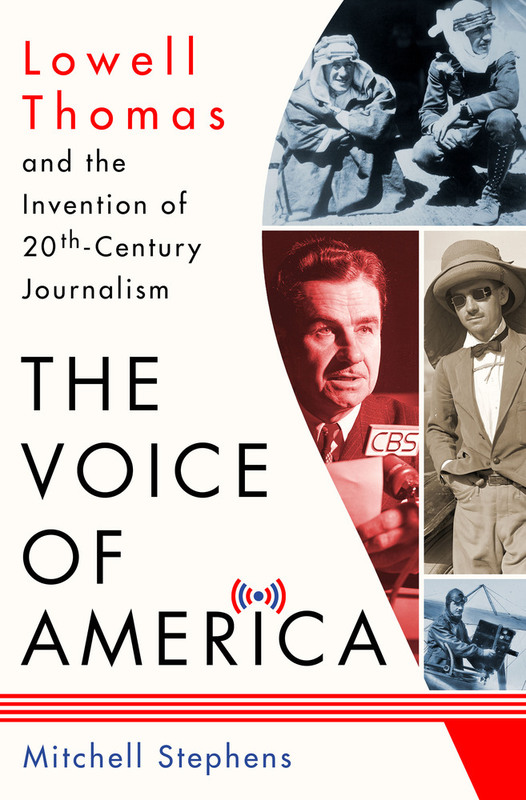 Very few biographies are made into movies, which is odd, because documentaries about famous people and fictionalized “docu-dramas” are very popular. I think a biography could be a gift to a director: the biographer has written the story and done all the research, so the director can get down to the business of providing visual elements and sound. 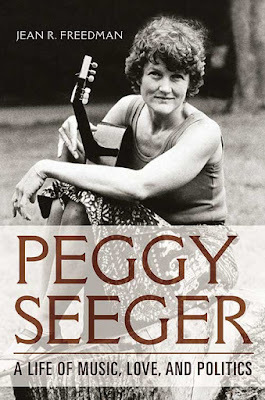 My book is the first full-length biography of an extraordinary woman, musician and activist Peggy Seeger. The title gives the three things that should be emphasized in the movie: music, love, and politics. Music should be both background and foreground. There should be scenes of Peggy singing and playing, and songs can also create mood, ease transitions between scenes, and indicate the time period in which the scenes take place. Since love and politics are two of the most exciting and dramatic things in life, the movie will focus on Peggy’s personal life intertwined with her political life. There should be elements of documentary, such as personal photographs, and perhaps newsreels of events that Peggy has written about: apartheid, the Vietnam War, the 1984-85 British miners’ strike, the Women’s Peace Camp at Greenham Common, and so forth. The viewer should leave the film singing and wanting to change the world, simultaneously. The director should be an experienced political filmmaker who understands how to use music effectively. 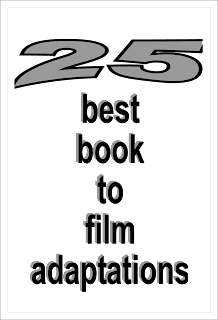 Top choices are Costa-Gavras and Gregory Nava. Without question, the mature Peggy should be played by Angela Lansbury. They have the same mannerisms, the same cheekbones, and the same precise manner of speaking, a legacy of having lived both in England and the United States. Lansbury is also an excellent singer. I’m not sure who should play the younger Peggy; the story could be told in retrospect and use footage of Peggy herself in her younger days. If the director does decide to cast a younger Peggy, it should be someone like Natalie Portman, pretty and intelligent-looking, with light brown hair. Peggy’s brother Pete should be played by a musician who has the same charisma and passion for social justice – Bruce Springsteen, perhaps, or Billy Bragg, if he can do an American accent. Casting her husband, Ewan MacColl, is surprisingly difficult, which is ironic because he was himself an actor. The person who plays Ewan will have to sing beautifully, speak with an English accent and occasionally a Scots accent, and look good in a beard. I suggest one of those actors who are such chameleons that you’ve seen them in three films before you realize you’ve watched the same person three times: people like Sean Penn, Eddie Redmayne, and Daniel Day-Lewis. As actors, they can do anything. But can any of them sing? Visit Jean R. Freedman’s website. 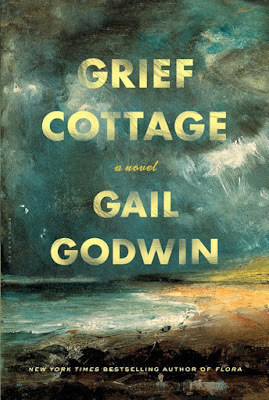 Gail Godwin is a three-time National Book Award finalist and the bestselling author of twelve critically acclaimed novels, including Violet Clay, Father Melancholy's Daughter, Evensong, The Good Husband and Evenings at Five. She is also the author of The Making of a Writer, her journal in two volumes (ed. Rob Neufeld). She has received a Guggenheim Fellowship, National Endowment for the Arts grants for both fiction and libretto writing, and the Award in Literature from the American Academy of Arts and Letters. Though I write this in a playful spirit, I want Grief Cottage to be made into a movie, and am going to try to squeeze myself into someone's elevator to make my pitch. All you need is a rather small, un-touristy island, preferably in South Carolina where they are serious about their loggerhead turtle hatchings. There has to be the "night of the boil-up" scene. Those hundreds of little creatures just out of their eggs racing like mad to get into the ocean before something eats them: you will find yourself laughing and crying. Check out a loggerhead hatching on YouTube. You need an eleven year old boy, perhaps an unknown actor, who has Marcus's gravity, his sadness, and his slight weirdness. And you need his great aunt Charlotte, his last relative, who takes him in after his mother dies. Aunt Charlotte is 57. She is a hermit artist, with a haunted past, and the last thing she wanted was to share her solitude. But, among other virtues, she is an honorable person. I visualize the actress Charlotte Rampling. I may have been thinking of Charlotte Rampling when I named my character. Aunt Charlotte lives every day under layers and layers of past wounds. Oh, and she is what they call "a working alcoholic." She paints all day, she paints the ocean and the dunes, and she paints version after version of her "best seller,"an old abandoned cottage, known as Grief Cottage, where a family disappeared during a hurricane 50 years before. She herself is drawn to the cottage because it seems to mirror the ruin if her life, and because her first sight of it started her career as a painter when she moved to this island. She paints and sips wine and doesn't say a whole lot to Marcus, but his seriousness and his loneliness reflect her own. Yes, I would love to have Charlotte Rampling, or someone like her, taciturn, frowning, wise with secret hurts, elegant in a don't give a damn way, and able to show concern fir someone without saying much. And, finally, there is Marcus's ghost, a boy a little older than himself, whom Marcus discovers in Grief Cottage, and who shows himself to Marcus twice. The ghost will have to be done subtly. Oh, is this your floor? Well, thanks for listening to my pitch. Do you mind if I send you a copy of the book? 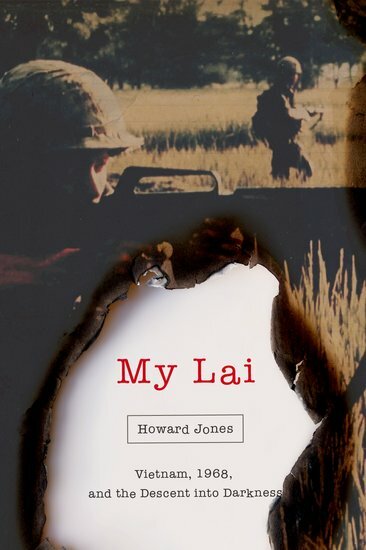 Howard Jones's "My Lai: Vietnam, 1968, and the Descent into Darkness"
Howard Jones is University Research Professor of History Emeritus at the University of Alabama. On December 13, 2016, Larry Colburn, a Vietnam veteran, died of cancer, the last living member of a three-man helicopter crew who participated in the My Lai operation on March 16, 1968, along with twenty-five-year-old Chief Warrant Officer Hugh Thompson (died in 2006) and twenty-year-old Crew Chief Glenn Andreotta (died in combat three weeks after My Lai). Colburn was the youngest of the three, an eighteen-year-old door gunner on a small OH-23 helicopter assigned the task of drawing enemy fire that would expose the Viet Cong’s location to American ground forces. I was fortunate to interview Larry numerous times while writing my account of the My Lai massacre. He was always generous with his time, detailed in his explanations, and passionate about telling the story accurately and fairly. He was also self-effacing and modest, though the more he told me about what had happened at My Lai, the more humbled I felt in the face of someone who never lost his moral compass in the midst of horrific wrongdoing while enduring far greater personal challenges in life than I could ever imagine. Early in the morning of that day at My Lai, Thompson saw more than 100 bodies in a ditch and angrily set down his helicopter to talk to the American officer in charge. That officer was 2nd Lieutenant William Calley, who outranked Thompson and made clear that he needed no advice from anyone. Shortly after leaving the scene, the three airmen spotted a squad of American soldiers in pursuit of a small number of Vietnamese villagers—an elderly man and some women and children—fleeing toward an earthen bunker. Once more Thompson landed his craft, this time between the two groups to save the Vietnamese, and ordered Colburn and Andreotta to stay behind with machine guns and shoot any soldiers who fired on him or the Vietnamese. No one interfered. On a final swipe over that same ditch, Andreotta saw life below and, after a hurried landing, waded through the bloody water filled with dead and dying Vietnamese to rescue a young boy who was in shock and clinging to his dead mother. Thompson reported the mass killings to superiors of what turned out to be the deaths of 504 unarmed Vietnamese civilians in less than four hours and brought about a cease-fire that likely saved the lives of hundreds more noncombatants. Thompson and Colburn’s ordeal continued in the years that followed, when they testified before congressional committees about what had happened in My Lai, often to those who vehemently rejected their charges of a massacre. When badgered by committee members determined to discredit both men for their account of that day, Colburn, by then barely in his twenties, and Thompson not much older, maintained their composure. They adamantly denied being mere whistleblowers, asserting that they had directly confronted those soldiers; they also denied being pacifists, insisting that they would fight only a “legitimate enemy.” For years afterward, both men were accused of treason and received death threats. The U.S. Army at first tried to cover up the massacre but finally gave in to public pressure and launched an investigation that, combined with the investigative work of journalist Seymour Hersh and others, exposed the reality of My Lai. As the years passed, the army came to recognize the heroism of all three men. In 1998 it awarded each of them (Andreotta’s posthumously) the Soldier’s Medal, the highest honor for bravery in a noncombat situation. Colburn repeatedly told me that he and his two companions had acted out of ordinary decency in doing what anyone would have done. Yet it was clear to all who knew them—and knew of the horrors of My Lai—that this was not so. Their decency that day was not ordinary. In my mind, and in the minds of those who knew what they had done, their actions embodied the essence of heroism—a story of courage that needs telling everywhere, including on the big screen. Many friends have insisted that the My Lai story deserves telling by Hollywood. Follow-up conversations have almost always led to questions about who should be the director? The cast? My first choice for director would be Michael Mann, who has recently agreed to direct a TV mini-series based on Mark Bowden’s new book, Hue 1968: A Turning Point of the American War in Vietnam. Who should play the three main characters in a movie on My Lai? As Hugh Thompson, I would recommend Liam Hemsworth or Nicholas Hoult. For Larry Colburn, I would support either Brenton Thwaites or Alden Ehrenreich. And as Glenn Andreotta, I would choose either Aaron Taylor-Johnson or Will Poulter. All these actors have played important parts in movies and are on lists of the top Hollywood males under thirty years of age. Learn more about My Lai: Vietnam, 1968, and the Descent into Darkness at the Oxford University Press website. Sarah Creech is the author of two novels, Season of the Dragonflies and The Whole Way Home. I’m not the kind of writer who thinks of actors and actresses while I’m writing a novel (maybe I should try that in my next book). If I could choose a totally unknown, untrained actress to play my main character, Joanne Lover, I would choose Margo Price, who recently signed with Jack White’s label Third Man Records. Her album’s title song “Hands of Time” follows Jo’s life trajectory so closely that it spooked me the first time I listened to the song. And to see Margo Price perform in person is to know what country music star power and greatness really looks like, especially when she wears her hot pink fringe dress. She emits a golden light. Also, Kacey Musgraves would be a perfect fit for Jo! As for my male protagonist, J.D. Gunn, I think I’d choose Colin Farrell, with one caveat: he’d have to wear bright blue contacts. Otherwise, he has the perfect stature and presence to play J.D. If he turned down the role, I’m sure Jake Gyllenhaal would be a great fit too! But if we go back in time, Dolly Parton and Elvis would know exactly what to do with characters like mine. Tessa Harris is the award-winning author of The Anatomist’s Apprentice, the first of her Dr. Thomas Silkstone series. 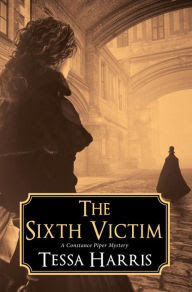 The Sixth Victim is the first book in her new Constance Piper Mystery series. Harris is based near London, England. I’m a great fan of the TV series Ripper Street. In fact anything on the small screen, or silver, that evokes the dark, tawdry and slightly supernatural world of late Victorian London draws me like the proverbial moth to a flame. The Sixth Victim tells the story of Whitechapel flower girl Constance Piper, whose close friendship with her high-born mentor, Emily Tindall, leads her to discover she can communicate with the dead. It’s set against the backdrop of the Jack the Ripper murders and I loved conjuring up the murky underworld of the East End of the time. Although in the audio book (Blackstone) Constance and Emily are played by two different actors – the uber-talented Fiona Hardingham and Gemma Dawson – I had the idea that, in my dreamcast - both characters could be played by the same person. That’s because, although the story is written from two viewpoints, I leave it to the reader to judge whether Constance is really psychic or psychologically challenged. For both roles the amazing Emma Watson would be perfect: an impoverished girl who wants to better herself – as in her recent Belle in Beauty and the Beast – and a well-educated, intelligent young woman, as in Hermione Granger in the Harry Potter series. As for the male lead, Detective Inspector Thaddeus Hawkins – whom we meet at greater length in the second book in my series - that role would go to the wonderful Eddie Redmayne. I adored him when I first saw him in My Week With Marilyn and of course he was magnificent as Stephen Hawking in The Theory of Everything. As for my chosen director – that would have to be Tim Burton. He’s known for making films with quirky, Gothic twists such as Sleepy Hollow, Sweeney Todd and Abraham Lincoln: Vampire Hunter. I’m sure he’d bring the wicked streets of Whitechapel in the 1880s to life in his own, unique style. My Book, The Movie: The Devil's Breath. The Page 69 Test: The Lazarus Curse. J.M. Opal is Associate Professor of History at McGill University. He is the author of Beyond the Farm: National Ambitions in Rural New England and the editor of Common Sense and Other Writings by Thomas Paine. Andrew Jackson was a man of terrible passions. He tried to keep them in check, to show the world that he was a man of duty and honor, a soldier and statesman, a God-fearing son and husband of pious women. And when his passions boiled over, as they so often did, he could only blame a corrupt world for not seeing how hard he had tried. He never forgot insults, because he saw them as attacks not on him alone but on all that was good and innocent, brave and pure, virtuous and vulnerable. In other words, he took himself very seriously, and he was ready to die—preferably to kill—to make sure that everyone else did as well. The actor who plays such a man would have to prepare himself by dwelling on the bad things that happen to good people. He would need to picture such injustices, to turn them over in his mind, to torture himself with his imagination. Alone in a room, our would-be Jackson would have to pace around for hours on end, recounting how more powerful men had once slighted him, how they were still laughing at him, how they smirked and chortled and went on with their too-important lives. Our actor would then need to think of the cruelties, real or imagined, that had been done to his loved ones. He would behold a quiet child, bullied and beaten by thugs and dandies. He would see his dutiful wife, slandered and scorned by degenerates and Pharisees. Indeed, our method actor would have to think of the unspeakable: little boys with their scalps torn off, pregnant women with spears in their bellies, and the final, glorious moment when the guilty ones were all gathered in one spot, ripe for annihilation. My choice for that role would be Christoph Waltz, the multilingual star of Inglourious Basterds, among other blockbusters. In the opening scene of that film, Waltz’s character, Col. Hans Landa of the Nazi SS, questions a French countrymen who was sheltering a Jewish family. After some friendly musings about hawks, rats, and other symbols of “national character,” Landa turns deadly serious. His emotions drain from his face as he tells the Frenchmen: “You are sheltering enemies of the state, are you not?” His eyes, at once cold and smoldering, go straight through his victim, who breaks down and confesses. “You are sheltering them underneath your floorboards, aren’t you?” Landa continues. “Point out to me the areas where they are hiding.” Whereupon Landa, switching from English to French, directs his men to machine-gun the trembling family. I do not mean to suggest that Andrew Jackson was an early republican version of a Nazi sociopath. (I am skeptical of all Nazi comparisons, and even wonder if the word should be retired so that it only refers to the specific form of German fascism that rose in the 1930s and was destroyed by the United States, the Soviet Union, and the other Allies in 1945.) 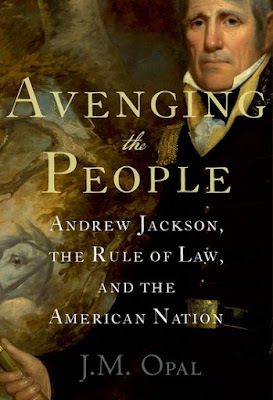 I go to great pains in Avenging the People to understand why Jackson felt so aggrieved, to take seriously his claims to innocence as well as those of the American people who so fiercely loved him. What I mean is that Waltz can portray someone who is dignified, formal, and polite in appearance, yet who also harbors terrible desires and violent urges—and who has the will and power to inflict them. That’s the Jackson I have come to know. Learn more about Avenging the People at the Oxford University Press website. 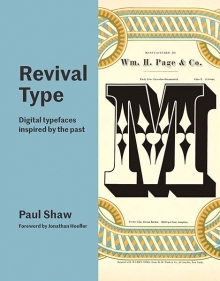 Visit Paul Shaw's website and Abby Goldstein's website.